In a truly blind beauty test, where the testers have no knowledge of brand, packaging, price range, or previous reviews, what products would reign supreme? With that in mind, we at Fashionista concocted the "Blind BB Cream" test. In the world of beauty products, the sad truth is that sometimes the outside of a package matters more than what&apos;s inside, at least when consumers are standing in front of endless rows of similar products and trying to choose one. People are also pretty label conscious, and have certain quality expectations for luxury vs. mainstream brands. But does any of it matter when it comes to a product&apos;s efficacy? I started thinking--it’s time to get less superficial with makeup. In a truly blind beauty test, where the testers have no knowledge of brand, packaging, price range, or previous reviews, what products would reign supreme? 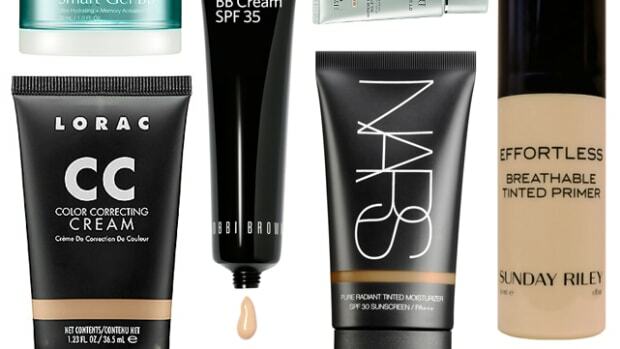 And so with that in mind, we at Fashionista conducted the "Blind BB Cream" test. Results: Three clear front runners came out of testing. But before we reveal the favorites, some select quotes from BB creams that didn&apos;t make the cut: “Smells like menthol, feels tingly.” “It feels powdery and just sits on top of my face.” “Weirdly orange.” “Too chalky, powdery and thick.” “This one is just not working!” referring to a BB cream that sat on top of her face like chalky ‘80s sunblock. 2nd Place: L’Oreal’s Youth Code BB Cream, $12: Our testers universally praised this one for its depth of coverage and pleasant smell. “Two thumbs up--with a little matte coverage.” --Test Subject #2 (Cheryl) “Smells great, with good, buildable coverage.” -- Test Subject #4 (Tyler) “Went on easily, with light coverage.” -- Test Subject #5 (Leah) “Coverage was fast, natural and blended really well.” -- Test Subject #6 (Carissa, intern) Test Subject #3 (Nora) liked the texture of our first runner-up, but was in between the Light/Medium color. Conclusion: Our test results suggest that perhaps prestige does count for something--sometimes. Our number one pick was higher-end Smashbox--but it was closely followed by drugstore favorite L’Oreal, which is less than half the price. The lesson? Try before you buy, and don&apos;t be snobby about brands. My skin has never looked so glowy. If you thought BB, CC, and DD face creams were confusing, wait until you try to sort through the next generation of so-called "alphabet" products. According to a recent article in WWD, BB cream sales alone (not counting CC creams) reached $36 million in 2012, up from $2 million in the prior year. That's 1,800% growth. Last week alone I got samples for three new BB creams, two CC's, and even one BBB cream. So with the skyrocketing popularity of BB creams (and its other ABC relatives), it's not that surprising that companies are trying to expand the category beyond skin. Which letter is right for you. There’s a (pseudo) new kid on the beauty block here in the US, and from the looks of it, BB creams—otherwise known as Beauty Balm, Beauty Benefit, Blemish Base, Beblesh Balm, or Blemish Balm--are quickly becoming the crème de la crème of the cosmeceuticals (skin care + makeup) industry. BB creams can be traced back to 1950s Germany, when Dr. Christine Schrammek created a salve to aid skin healing in post-peel and laser surgery patients, while also masking splotchy, inflamed redness and shielding sensitive skin from the sun. Fast forward 50+ years, when BB creams exploded in popularity in Asia, Japan, and Europe--thanks to drop-dead gorgeous Korean actresses like Song Hye Kyo singing its praises--and suddenly everyone is clamoring to introduce their own to the US market. Why?